Ball Moss: What is it and what can I do about it? Ball moss (Tillasandia recurvata) is a flowering plant of the bromeliad family, which includes Spanish moss and pineapple. It is not a parasitic plant but an opportunistic one. 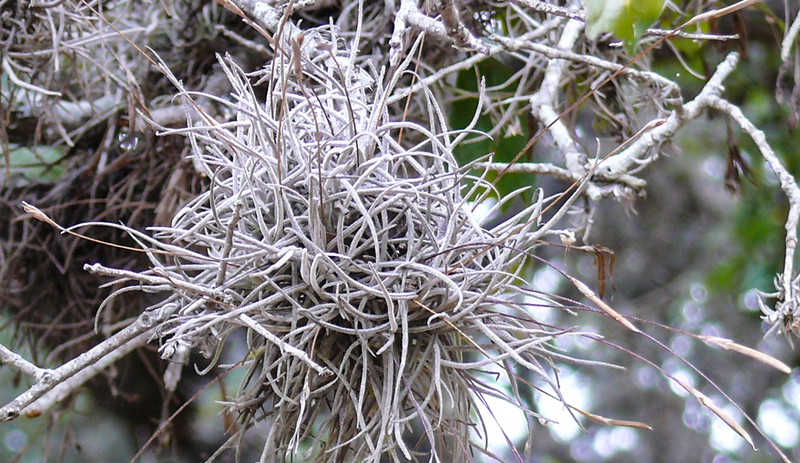 Being an epiphyte means it grows on the surface of other things, such as tree branches and prefers low light, low airflow and high humidity. It gets all its food and water from the surrounding atmosphere and not from the tree itself. Most people believe it causes damage and death in trees but that is not the case. It is mostly an unsightly annoyance more than anything else. If a tree has a severe case of ball moss, it is usually a very old tree or may have an underlying disease that is causing the tree to decline. When trees start to decline, they can become susceptible to secondary problems like Ball moss. Trees with full canopies are less likely to contract Ball moss because the canopy keeps the seeds from floating into the interior and anchoring on a branch. Sculpting, over pruning, decay or other similar diseases make the tree more susceptible to Ball moss invasion. Ball moss produces up to 100 seeds per plant which in turn are carried by the wind to their new growing spot. If the tree is struggling and the canopy is thin or has been over pruned, then Ball moss has easier access to interior limbs. Once established on these trees, the Ball moss can spread easily within the trees canopy and the Ball moss can overpopulate branches. Since most trees will have lower branches die off in a natural process, it provides a perfect residence for Ball moss. I recommend maintenance pruning every 5 years to remove dead branches which usually removes most of the moss. I recommend annual inspections for most trees in urban areas or high-risk trees. If after pruning the tree, it still needs chemical methods it can be sprayed for ball moss. Kocide 3000 is the recommended fungicide and is listed for use by a certified applicator. PLEASE REMEMBER that ANY individual that is making an application to kill, mitigate, or repel a pest must be licensed to make such an application either with Structural Pest Control or Agricultural Pesticides with the Texas Dept. of Agriculture. THIS INCLUDES BAKING SODA! We all carry a yellow card stating we are licensed with TDA. If you think baking soda or sodium bicarbonate can’t hurt anything, think again. It can not only kill your trees when applied incorrectly, it can rust metal roofs, & kill most plants underneath the trees. ANY PERSON that you are paying to use a chemical such as Kocide 3000, Sodium Bicarbonate, or Potassium must be licensed, ESPICALLY treating for Oak Wilt! 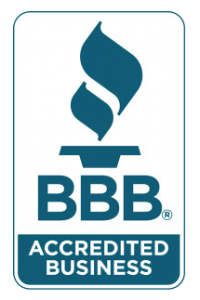 I am licensed, insured & we are regulated by TDA. ASK questions when you hire people. Do not hire someone soliciting at your front door. Licensed pesticide applicators DON’T troll for business. Trees are a part of our beauty here. Maintain them with professionals that are educated in working with your trees.